The routine discussion of papers went on as usual during the first half of Tuesday’s Cabinet meeting, the first time after the reshuffle on Sunday. But the second half, meant for the discussion of currently important matters, turned out to be stormy as President Maithripala Sirisena, backed by some Cabinet Ministers, showered criticism on the Cabinet Committee on Economic Management (CCEM) headed by Prime Minister Ranil Wickremesinghe. The CCEM was established shortly after formation of the 100-day government following the Presidential Elections on January 8, 2015. Any Cabinet paper related to economic affairs is supposed to be referred to this body headed by the Prime Minister and attended by the key Ministers and officials. Any proposal could be implemented only if it got the go-ahead from the CCEM. It was seen by some as a Cabinet within the Cabinet. Most Cabinet Ministers appeared to have been averse to this procedure of clearing economic and investment proposals with the participation of a coterie of Ministers and officials. Other ministers feel that they are denied the chance to weigh the pros and cons of any economic matter. Incensed by the CCEM calling the shots in this manner, these Ministers complained to the President. After being patient for some time, President Sirisena timed his criticism on the CCEM at Tuesday’s Cabinet meeting. “Today, I have to raise one matter. I received a whole lot of complaints against the CCEM taking economic decisions. 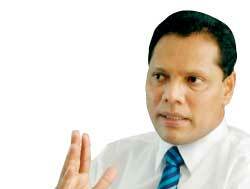 Even some Ministers representing the UNP brought this to my notice,” he said. Then, the President suggested that such decision making should happen at the Cabinet, and therefore, the CCEM should be disbanded forthwith. The Prime Minister resisted the President’s idea. He defended the establishment of CCEM saying such a body was absolutely needed for the discussion of economic matters with the participation of key government officials who couldn’t be convened otherwise to the Cabinet sessions routinely. In his counter argument, the President, however, said the Cabinet subcommittees could be appointed to serve I accommodate officials if that was the case. This led to a storm of arguments hurled back and forth by the Cabinet ministers. Finance Minister Mangala Samaraweera and Development Strategies and International Trade Minister Malik Samarawickrama stood for the Prime Minister’s position. 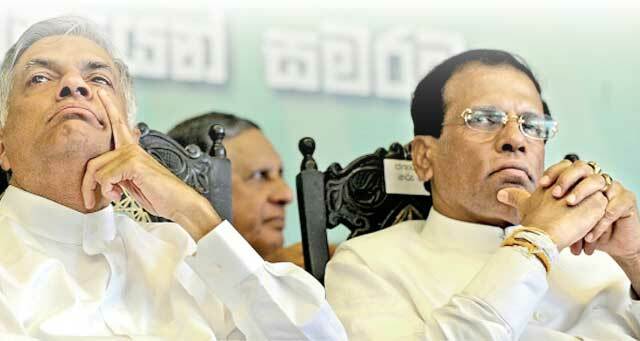 Nevertheless, Health Minister Dr. Rajitha Senaratne, Sports Minister Dayasiri Jayasekara, Megapolis and Western Development Minister Patali Champika Ranawaka aired out their views in support of the President - more or less. The cross talks dragged on for a while, and at one point, the President became furious. In a veiled threat, he said, “I have a lot to be revealed if you persist with your stance in this manner.” Consequently, he was even harsher in his criticism directed towards the UNP’s handling of economic affairs. He rebuffed the UNP for misleading the public by promising to put up a Volkswagen car manufacturing plant in Kurunegala. With his eyes staring at Education Minister Akila Viraj Kariyawasam, he said, “You claimed that Volkswagen would invest. You took us to the groundbreaking ceremony. Immediately after that, we received a message that Volkswagen Company would not be investing here. It is deception of people. The Prime Minister reportedly responded to the President saying that investment proposal had nothing to do with the CCEM. It was cited as a project approved by the Board of Investment (BoI), not the CCEM. Afterwards, the President threw his glance at Malik Samarawickrama and levelled similar criticism at the UNP on the much-hyped tyre factory in Horana. After the President, Minister Jayasekara seized the opportunity to unleash his criticism on the UNP policies during the last three years. He spoke of the introduction of the ‘Battery Cage’ system for poultry farmers in his Kurunegala district which is virtually the egg basket of Sri Lanka. It is a system for the housing of egg laying hens in rows and columns of cages connected to each other. The natural movement of birds is restricted. There was a storm of opposition from poultry farmers to this system introduced under the new government. “These poultry farmers were loyal to the UNP right throughout. But, you antagonized them by introducing this system. At the LG polls, they all voted for the Lotus Bud as a protest,” he said. Finally, the Cabinet meeting ended with indecision on the CCEM. This is yet another example of inhibition in the government, particularly after the electoral defeat at the local government polls. The two parties have decided to forge ahead despite differences, but the way forward is inhibited by many issues. 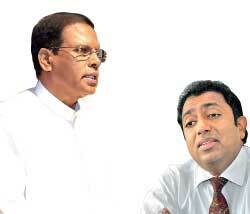 For the UNP, it is a period of two-fold crisis. One is from within the government. Besides, it is afflicted with an internal problem as some Ministers are openly revolting against the party hierarchy. 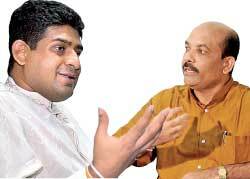 Already, State Ministers Palitha Range Bandara and Vasantha Senanayake have threatened to bring a vote of no confidence against the PM. Chairman of Sri Lanka Podujana Peramuna (SLPP) Prof. G.L. 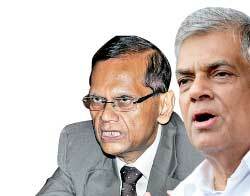 Peiris is a harsh critic of the PM at political events and press conferences. The duo happened to meet with each other on Tuesday at an event to mark the launch of a book written by Munchee Biscuits chairman Mickey Wickramasinghe. Prof. Peiris was seated on the left of the writer and the PM to his right. Despite political differences, the two were seen chatting with each other.